Henn Roode’s active work as an artist lasted only 15 years, yet his creative legacy is abundant. It is also in recent years in particular that the innovative nature of Roode’s art, which in its time did not receive the attention that it deserved, has started attracting more and more attention. Roode started studying at the reorganised Pallas in 1944, the name of which was changed to the Tartu State Institute of Art, but was arrested in November of 1949 together with several other fellow students. Incidentally, one of the charges against them had reportedly been that Paris was allegedly mentioned too often in discussions amongst themselves, which supposedly referred to their definite plan to hijack a plane and flee the country. In June of 1950, they were all sentenced to ten years incarceration in corrective labour camps and instead of Paris, Roode was sent to Lugovoilag in the Karaganda oblast in Kazakhstan. He was released from there in 1956 before the end of his sentence. That very same year, he enrolled and began his studies at the Estonian State Institute of Art, which he completed three years later. In later years, he became one of the artists who laid the foundations for the modernist art of painting. In its day, Henn Roode’s experimental style created an effect like an explosion. The art world in Estonia was strictly regulated and as a rule, those who dared to paint “differently” were young rebellious artists. In the 1960’s, however, Roode was already a respected artist in his 40’s who in his private life was more of a gentleman with high aesthetic expectations than a rebel. Roode’s art retreated from the depiction of objects in a realistic manner and stressed not only the geometric interplay of forms but also the associative power of colours. 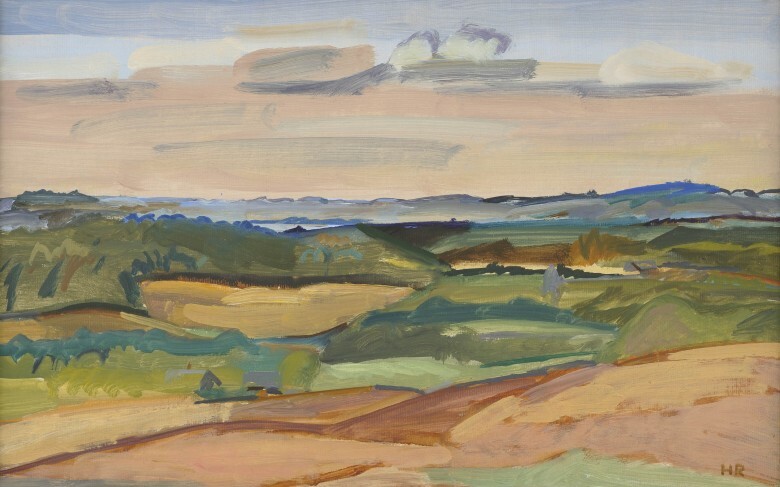 Henn Roode’s active work as an artist lasted only 15 years until his death in 1974, yet his creative legacy is abundant. It is also in recent years in particular that the innovative nature of Roode’s art, which in its time did not receive the attention that it deserved, has started attracting more and more attention. The subject of this painting is, somewhat unconventionally for Roode, a landscape since his primary emphasis was on urban views, seascapes, portraits, nudes and abstractions. This painting is somewhat exceptional in Roode’s body of creative work. It is considerably more tranquil in style than Roode’s works ordinarily are. 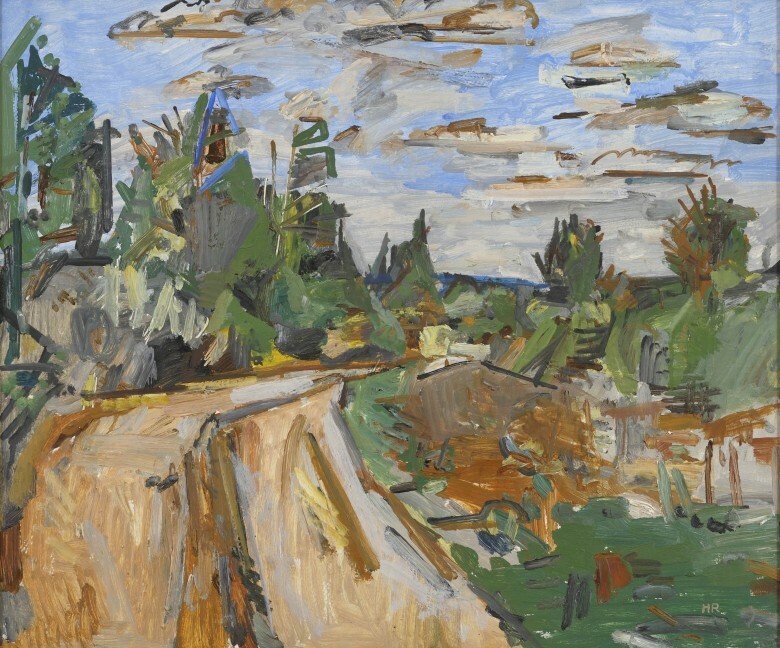 The landscape motif is also somewhat unusual for him since Roode’s primary emphasis was on urban views, seascapes, portraits, nudes and abstractions. 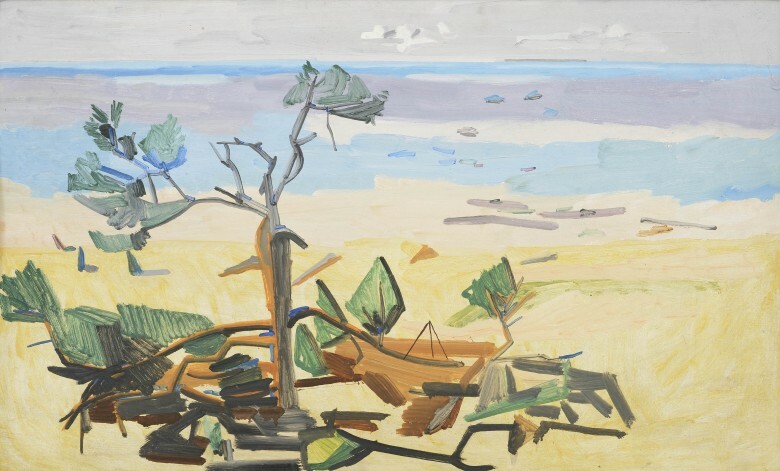 According to Kädi Talvoja, however, Roode grew out of abstractions at the end of the 1960’s, and seascapes took up ever more space. Henn Roode painted numerous self-portraits towards the end of his life. A striking number of them were sketchy and seemed to be intentionally unfinished, with rivulets of paint running down the cheeks. This self portrait is more of an exception in this context. People who knew Roode have recalled him as a gentleman with very high aesthetic standards. Years spent in Soviet prison camp did not make him embittered but rather caused him to seek truth from art. His quests for form at the end of the 1960’s and early 1970’s were revolutionary and pioneering. There is admittedly somewhat less experimentation in this work but the year in which the work was completed should be noted. 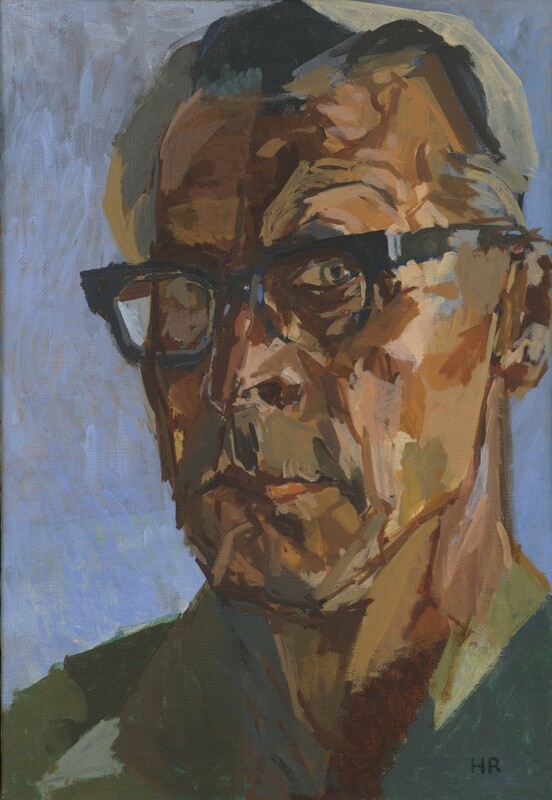 This artist, who only lived to be 50, has painted this self-portrait in the last year of his life. It is possible that this is one of the last depictions of Henn Roode.